Jefferson Park is known for being a family-friendly community and a popular residential area for Chicago’s firefighters, police officers and school teachers. With vast wooded areas, nearby golf courses and an abundance of families, Jefferson Park mixes a suburban feel with a city touch. 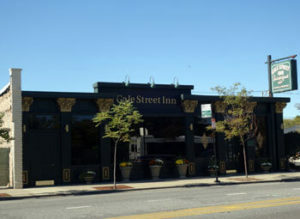 It’s also been a home for Gale Street Inn, renowned as one of Chicago’s favorite places for BBQ Ribs.